Come and visit the Leicester Print Workshop Shop. We’re open Tuesdays to Saturdays 10am – 5pm, with late night shopping on Wednesdays until 8pm, and every last Friday of the month until 8pm as part of Cultural Quarter Lates. We pride ourselves on our well-researched and contemporary selection of books relating to printmaking and contemporary art, sourced through the award-winning independent bookshop Kibworth Books. Current titles include selections from the Do Book Company series and Whitechapel Documents of Contemporary Art as well as activity books for children. We are also pleased to be Leicester’s only stockist of Pressing Matters magazine. 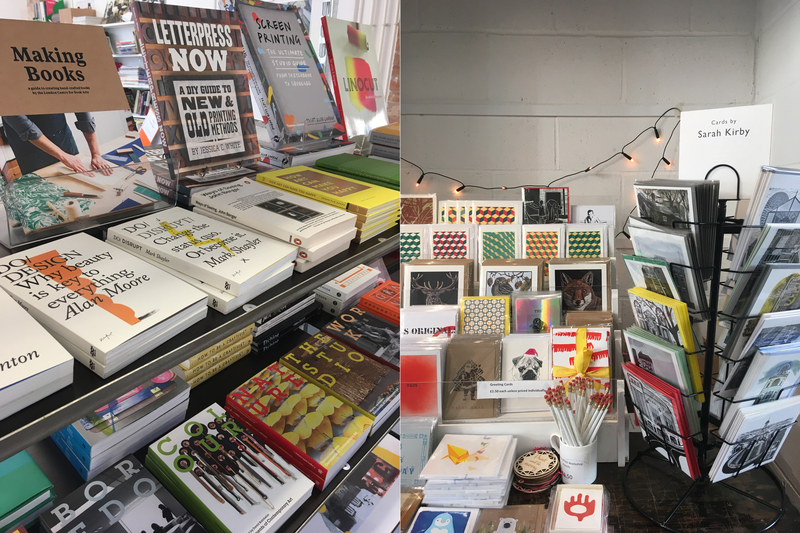 Shopping at Leicester Print Workshop supports our community of independent artists and makers, as well as Leicester Print Workshop! A new series of selling exhibitions in our Gallery 2 featuring work by LPW Artists, curated as part of the LPW SHOP. Each exhibition will have a late night preview selling event as part of Cultural Quarter Lates. 13th May – 13th July. Join us for the launch evening on 31st May. 27th July – 14th September. Join us for the launch evening on 26th July.